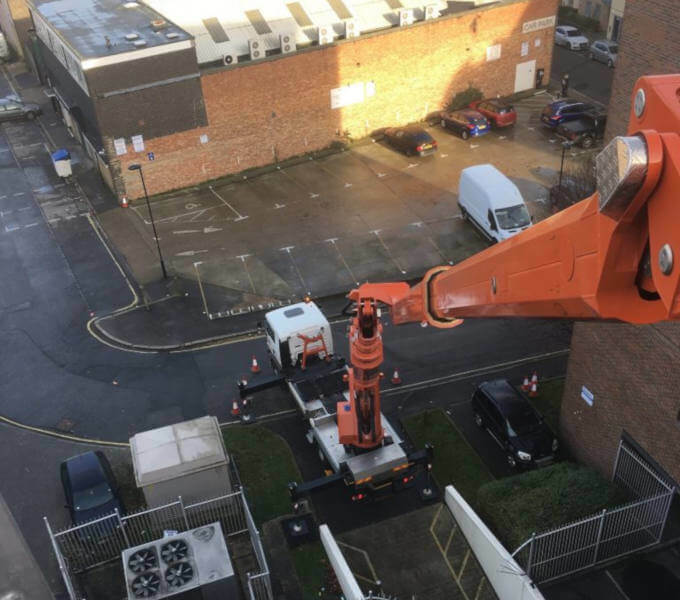 Palfinger P480 gets another Job done in Southampton, Hampshire. As the good weather starts again, our Palfinger P480 is getting busy…. This time in Southampton. I think our operator Cov really enjoyed himself on this job.